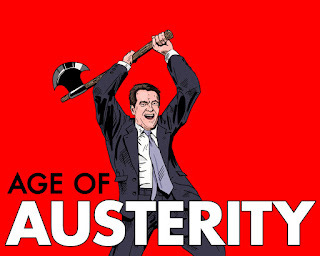 The Dark Side of the Moon - Essays and Articles by Jim Freeman: Austerity, for Whom? The headlines are dire across Britain; England’s finest cathedrals battle financial crisis, National Health Service in dire need of funding, forced cutbacks on social services while rentals become unaffordable for the young. And yet the world is awash in money. And one of my personal favorites, “If you are from an ordinary working class family, life is just much harder than many people in politics realize.” Apparently this includes the vicar’s daughter, head of a party that continues to take and take and take from those who have nearly nothing, while it runs the NHS into insolvency and oversees an economy supported by the shaky structure of zero-hours contracts and offshore tax dodging by more than 175,000 UK-registered companies giving addresses in offshore jurisdictions. Flats standing empty and businesses simultaneously cutting the throats of young workers and the British treasury. Now there’s a situation upon which someone might care to call upon the vicar’s daughter for comment. George Osborne, the Ken-Doll Chancellor of the Exchequer savaged British economics over a six-year period and, leaving office, toured the United States to explain how he’d done it, garnering over 320,000 pounds at the lectern. Osborne’s successor, Phillip Hammond gloomily predicts a ‘lost decade’ for Britain and clings to austerity as a cure, presuming the patient hasn’t died of bleeding in the meantime. 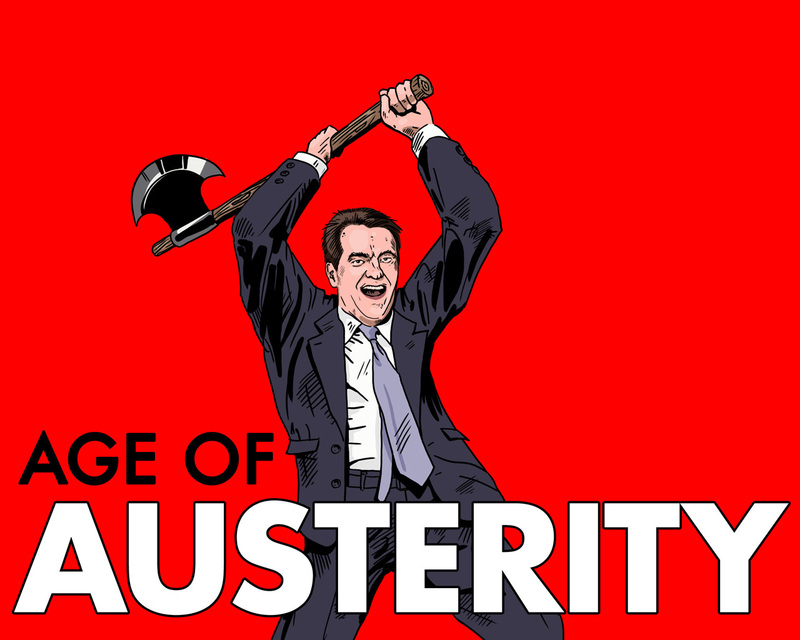 Austerity has never in the history of the planet worked to save an economy. Nor does turning over 200 NHS and social care services that cover more than 200,000 people in Bath and north-east Somerset to Sir Richard Branson smack of progress. Virgin Care indeed. What began with Margaret Thatcher’s privatizing of goddam near everything has come to its quite natural conclusion of the same fate for Britain’s health care system. Terrified as America and Britain seem to be of socialism, both nations are apparently comfortable with offering their soft, pink bellies to the knife of corporatism. Politics is meaningless in both America and Britain now. It is but the hollow shell of whatever the hell corporate interests dictate and I’ll share a secret with you—corporations want it all. Brexit and Trump are not anomalies, they are the natural and entirely predictable outcomes of privatization. Reagan and Thatcher heralded four decades of trickle-down economic policies, as our collective national resources trickled down the toilet. By any measure applied, British and American life has been in steady decline. Our roads are a wreck, railroads and airlines pathetic, healthcare and social services in the dumpster, educational systems failing and unaffordable and before long the toilets will cease to flush. Only the corporate world flourishes. Banks are up to their old dodgy tricks and about to fail once again, while the stock markets are grievously over valued from too much cash floating around and no place to put it. Is that weird or what? Too much cash and not enough money for public investment. In 2015 the wealthiest 64 humans on the planet owned more that all the assets held by the lower half of the world’s population. Stunning, huh? Well, see if you can wrap your mind around this—in 2016, one year later, that number had dropped from 64 to 8. One of those eight is Mark Zuckerberg, a 32-year-old and has in common with most of the seven others that they don’t produce anything. They control stuff. See George Carlin and The Owners of This Country. Controlling stuff is the modern day gold rush and corporate money isn’t stupid—it controls from the top down. It goes for a head-shot. First it gets the legislative machinery—all the legislative machinery, from village councils to the halls of Parliament and the US Congress. Once that is in place their purpose is to slowly bleed the patient dry and we are well into that phase right now internationally. Donald Trump is irrelevant and Theresa May has no say, no matter how concentrated our interest in and how and when they choose to appear before us. The media takes them seriously and gets its shorts in a twist, while the comedians play the Fool before the king. It’s all bread and circuses to keep us busy and distracted. That’s why a ‘news cycle’ is about thirty minutes these days—we’re too busy and distracted to pay any more attention than that and (unfortunately) so is our president. Meanwhile the looting goes on behind the curtain. If you want an understandable primer on modern politics and power structures, download and watch a copy of The Wizard of Oz. And good luck ever getting back to Kansas.